It’s the documentary everyone seemed to mention when they talked about veganism and vegetarianism. And for ages I kept saying I’d watch it, but then I’d put it off. I don’t know why. Maybe because everyone I know who had seen it kept saying what an eye-opener it was, and I wasn’t ready to face whatever it unearthed (no pun intended)? I’m still not sure. Like many people, I became a vegetarian for ethical reasons. Animal welfare has always concerned me, but it took a while to get to the stage where I saw giving up meat and fish as an option. (Again, this appears to be quite common.) I learnt about how brutal the meat and industry could be — seeing a pig get a bolt to the head was quite the wake-up call — and that was that. I didn’t want animals to die just so I could eat them. But when I looked into it a bit more, I realised it’s not just compassion for animals that leads people to adopt a vegetarian lifestyle; it’s compassion for the planet. Your impact on the environment decreases dramatically if you stop eating meat and fish (and dairy products), and that’s what Cowspiracy is all about. Cowspiracy: The Sustainability Secret starts with the film maker, Kip Andersen, wondering if all the steps he’s taking to conserve energy are enough. And while things like riding a bike and switching off appliances when they’re not in use make a difference, he discovers that it’s the meat, fish, and dairy industries, not fossil fuels, that contribute towards global warming, climate change, and environmental pollution more than anything else. So it turns out that the meat and dairy industry produces more greenhouse gases than the exhaust of all cars, trucks, trains, boats, and aeroplanes combined — a fact which shocked me, because we’re always hearing about reducing our carbon footprints. Animal agriculture uses 30% of the world’s water consumption, 45% of its land, and causes 91% of the destruction in the Amazon Rainforest. But most environmental organisations and charities — and I found this particularly interesting and horrifying — barely mention animal agriculture at all. They rely on donations to keep going and people don’t want to be told to radically alter their diets. Barely any environmental organisations were willing to speak to Andersen and his fellow film-makers. The first half of the documentary ends with the chilling conclusion that there is no way to sustainably raise enough animals to feed the world’s current demand for meat. Before I started getting interested in veganism and vegetarianism, I assumed dairy cows were treated well and none of them had to die. But all dairy cows go to the beef industry eventually, either because they’re male and can’t produce milk or because they’re female and not producing milk at a high enough rate to keep up with demand. 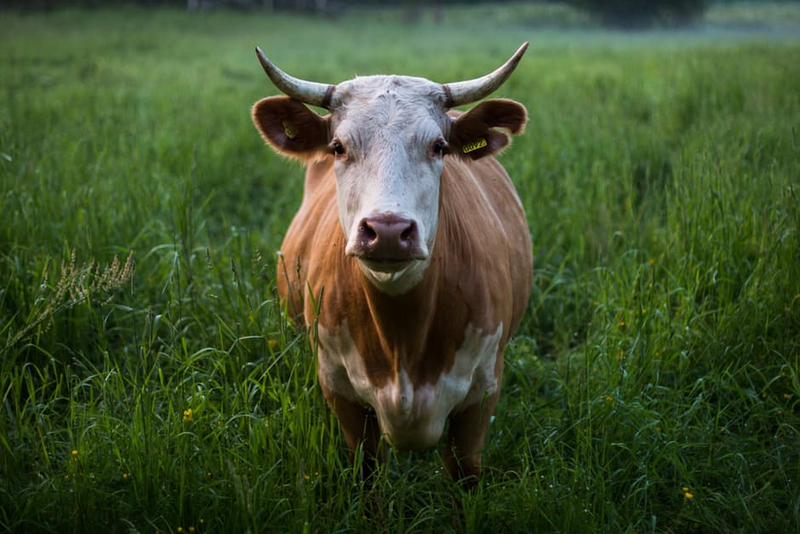 Female cows must have a calf to start producing milk, so they are artificially inseminated and their babies are taken away almost immediately after birth. They require tonnes of feed and water, and there’s not enough land on the planet to give them space to roam, stretch, and just be cows. Even the CEO of a dairy company (I forget which one, but I think it might be Clover?) admits that dairy farming is not sustainable. I learnt a fair bit about the vegetarianism and the environment from The Vegetarian Society’s resources, but Cowspiracy has given me that extra push and made me realise how important it is for us to cut down our consumption of animal products if we want this planet to survive. It has also strengthened my resolve to one day transition to a vegan diet — I’d love to kick the dairy habit in future. This post is simply a summary of the things that stuck out to me and there’s much more to the documentary, too much to put in one post, so I would really recommend seeing Cowspiracy if you can. I watched the newer version, which is available on Netflix (and was cut by executive producer and ultimate bae Leonardo DiCaprio). Have you watched Cowspiracy before? How did it change you and/or your habits? Let me know in the comments!